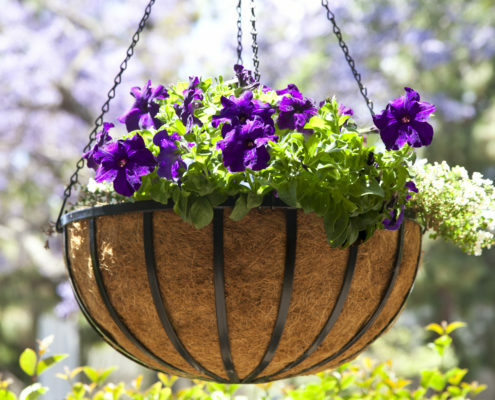 “Why do my hanging baskets die?” This is a common question, and yet the answer in most cases is surprisingly simple: they are not getting enough, or a consistent amount of, water. Because the plants and flowers that are planted in hanging baskets have little room to grow, and the small amount of soil included causes it to dry out faster, your hanging baskets need plenty of water to thrive. This typically means that you should water your hanging baskets about four to five times a week. Sound like a pain? Not to worry! Here are some tips on how to keep your soil moist—and your hanging baskets fresh and healthy—for longer, and with less work for you! How Do I Keep My Hanging Baskets Hydrated? Whether it’s for your home, your business, or your city streets, creating self-watering hanging basket planters save time and money on watering and maintenance—especially during hot summer months where you sometimes need to water hanging baskets a few times a day! And if you’re looking to water plants while away on business or that much-needed vacation, this is the perfect addition to your hanging baskets! A self-watering reservoir is an insert that you place directly in your hanging basket, under the soil and plants. Fill it up with water and it will drain water into the soil gradually over time, keeping the soil adequately hydrated without overwatering. 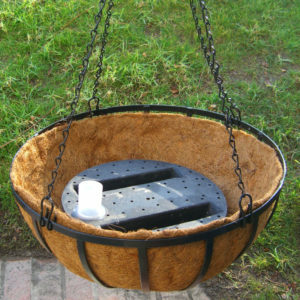 Choose from our round planter reservoirs from 6″ to 9″ in diameter (these reservoirs irrigate 9″ of soil beyond their edge), or our bowl-shaped reservoirs that fit perfectly into 18″ and 22″ hanging baskets, with a water capacity of up to three gallons! When you’re ready to plant or re-plant your hanging baskets, consider adding our PlanterWell GrowBrownie “Crumbs.” Made from a mix of coco coir, composted fir bark, and a proprietary polymer, this crumbly mix of ingredients are easy to add to your soil—and with what result? Your soil will retain up to 8 times its weight in water! Plus, the nutrients in the mix will keep your plants healthy and strong. What Should I Use to Line My Hanging Baskets? Made from real coconut husks, our coco coir liners have an extra thick construct that makes them long-lasting and extra water-absorbent. And since they release water slowly, your plants will maintain just the right amount of hydration at all times. These rustic-looking liners are pH-balanced, a perfect environment for maintaining healthy soil and plant growth. Natural and biodegradable, these organic liners are bird-friendly and biodegradable, for a zero impact on the environment. Want the benefit of coco coir for your container garden? 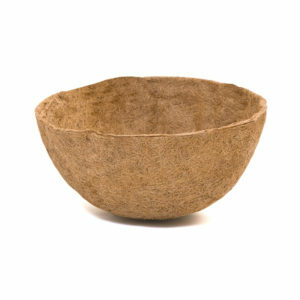 Coco coir rolls are available in 4- or 8-foot rolls, so you can easily cut it to fit any size container or basket. Our fiberglass inserts do their part in keeping your soil moist for longer, as they prevent water from dissipating. 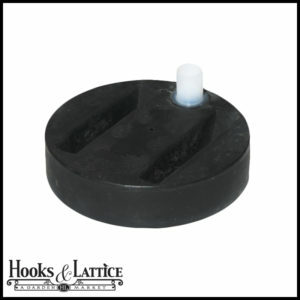 Our fiberglass planter inserts are perfectly made to fit 18″ and 24″ hanging baskets. 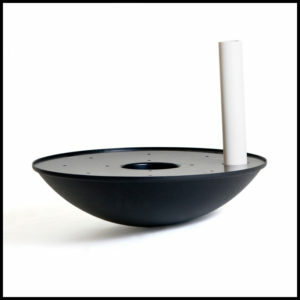 Not only do these robust inserts keep water in, but they protect plants from the wind, which often dries out the soil. Although they are effective on their own, dropped right into your hanging basket before you plant or re-plant, for maximum water-retention and soil health, we recommend using them along with our durable, and economical, coco coir liners. 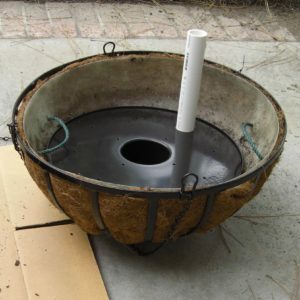 How Do I Plant Hanging Baskets with Coconut Liner Inserts? Check out this step-by-step video tutorial on how to plant a hanging basket with a coco coir liner, a self-watering reservoir, and a fiberglass insert. Keep Those Hanging Baskets Alive and Thriving! How to Prep Your House for Airbnb Guests How Should Exterior Shutters Fit?